It is perfect Hector! I look forward to the completed cake :). J, thx. the whole cake has been frozen (vacuum, -20oF, non-self defrosting chest freezer). i haven’t source the ingredients for the filling yet…. Very cute cake..loved the simplicity of this cake in RHC. The decoration look so pretty, would make a perfect gift for a woman any age! 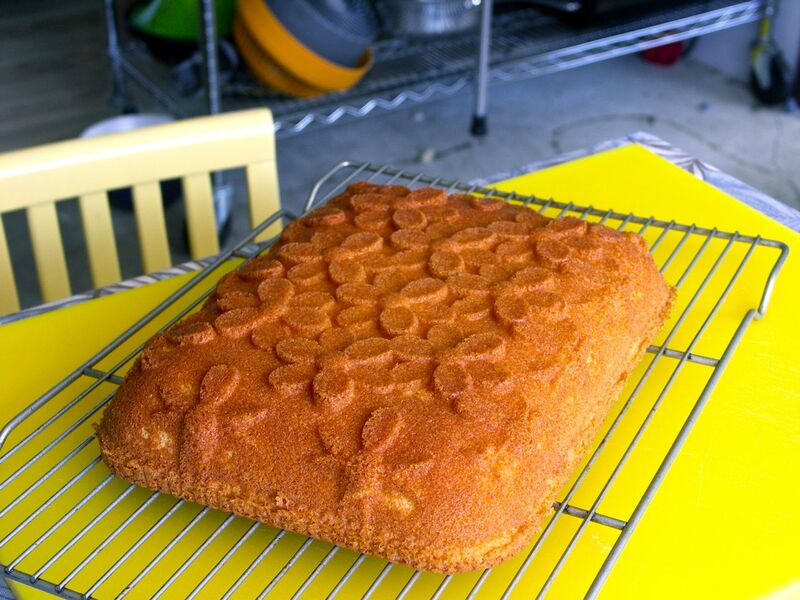 Thanks for sharing the tip on how to get all the imprints of the pan onto the cake, Hector! Yes, it does look perfect! 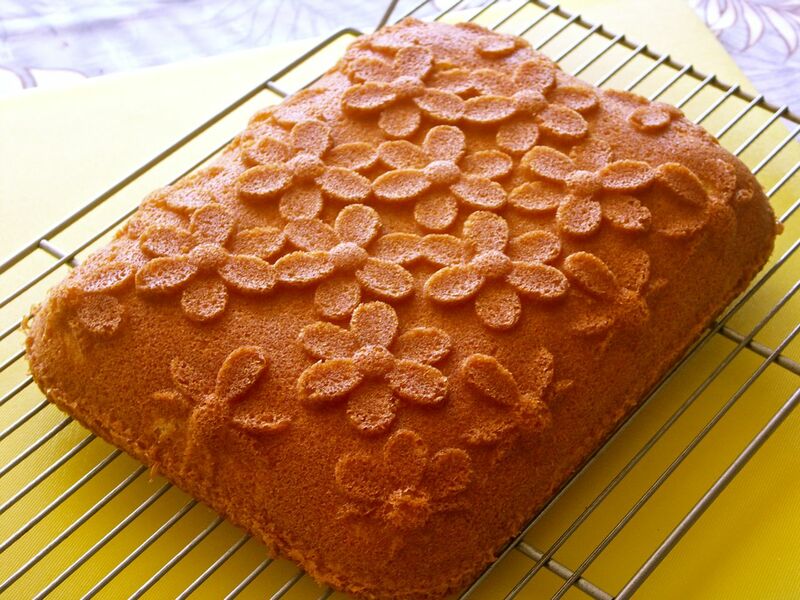 Are you going to trace some of the flowers with royal icing? Looking forward to the finished cake! J, i haven’t decided how to complete this cake yet. it is been hibernated in my chest freezer, vacuumed! i am on the lookout for a local ‘blue’ Hawaiian fruit in lieu of blueberries.